Patek Philippe stands for high-quality and extremely precise wristwatches with a timeless design. The great historical development of the Genevese watchmakers arouse a special fascination and enthusiasm among watch collectors. 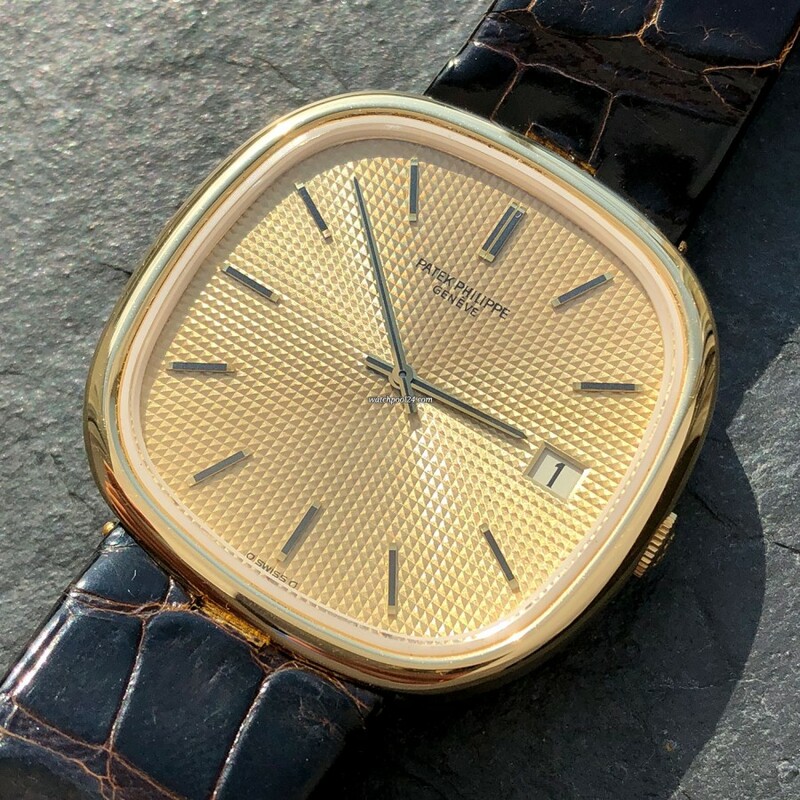 Part of this history is the elegant Patek Philippe Ellipse Jumbo Reference 3604, which is offered here. The cushion-shaped case - also called TV Screen - in 18k yellow gold is in mint condition. The golden dial has a beautiful, high-quality embossing called Clous de Paris. The dial includes golden hour markers with black inlays and date window at 3 o'clock. On the crown is the Calatrava sign. Original automatic movement by Patek Philippe Calibre 28-255 C powers the golden hands with black inlays. In 2016, during a full service by Patek Philippe all watch parts and functions were checked. The offered ellipse with elegant design, excellent condition and matching papers leaves nothing to be desired and will definitely make its new owner proud.